Because the Constitution gives states the job of running elections, ways of voting in the United States vary. Americans have developed a patchwork of manual, mechanical, and electronic balloting. Many methods once common in the past are still used in some places today. Gift of Society for the Oldest Inhabitants of Washington, D.C. The earliest elections were conducted by voice vote or with paper ballots put into ballot boxes. These paper ballots, called “party tickets,” listed names from just one party, and they were counted under the watchful eye of local party and election officials. 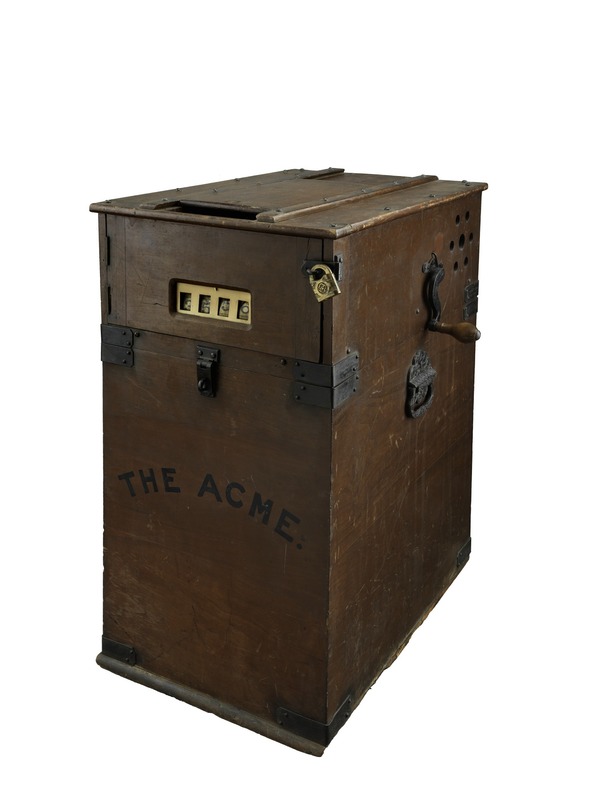 As the United States grew and the electorate expanded in the decades following the Civil War, improvements appeared in the form of the Australian or blanket ballots that listed the names of all candidates, ballot boxes with mechanical security features, and mechanical ballot counters. 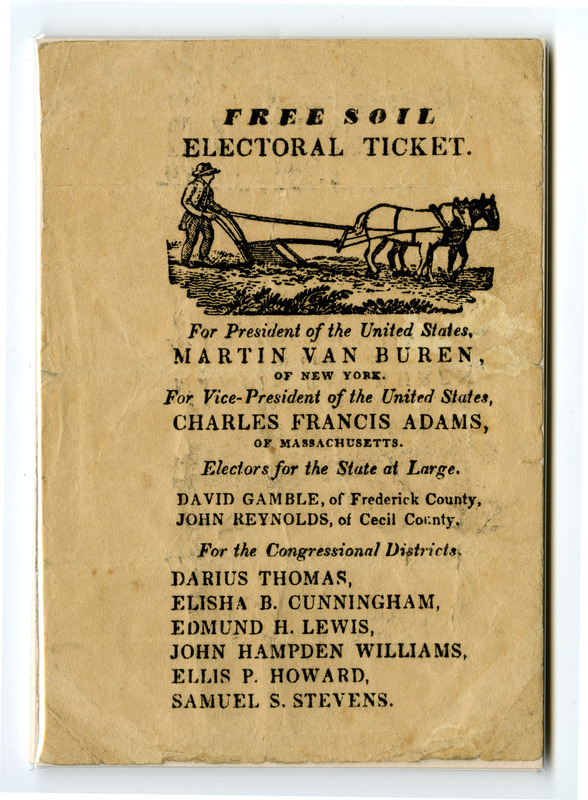 Voting in the 19th century usually involved casting a printed paper ballot. State election laws typically specified the dimensions and thickness of the paper, and the size of type to be used. The rest was left to the issuing parties, local party operatives, and candidates, resulting in various ballot forms and styles—and a potential for voter confusion and fraud. More so than the distinguishing marks of party symbols or candidate portraits, color helped observers identify party ballots as they were cast—and who cast them. Voting was still not entirely secret. The parties printed and distributed paper ballots cut from sheets. Virginia’s Union Party issued a pink paper ticket in 1860. 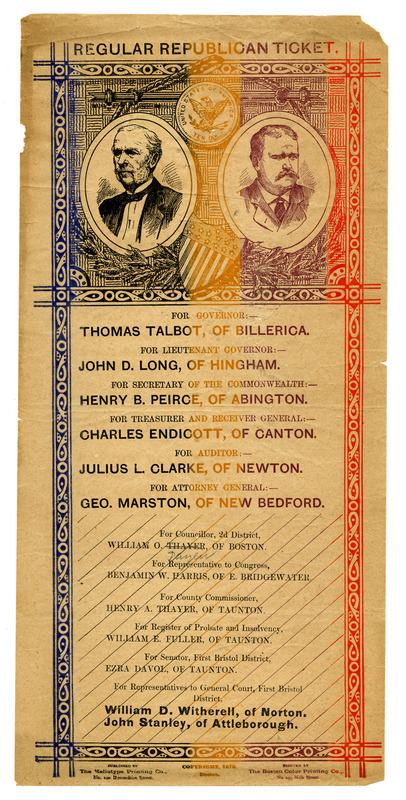 The introduction of a complex color scheme distinguished the official ballot of the 1878 Regular Republican ticket in Massachusetts. 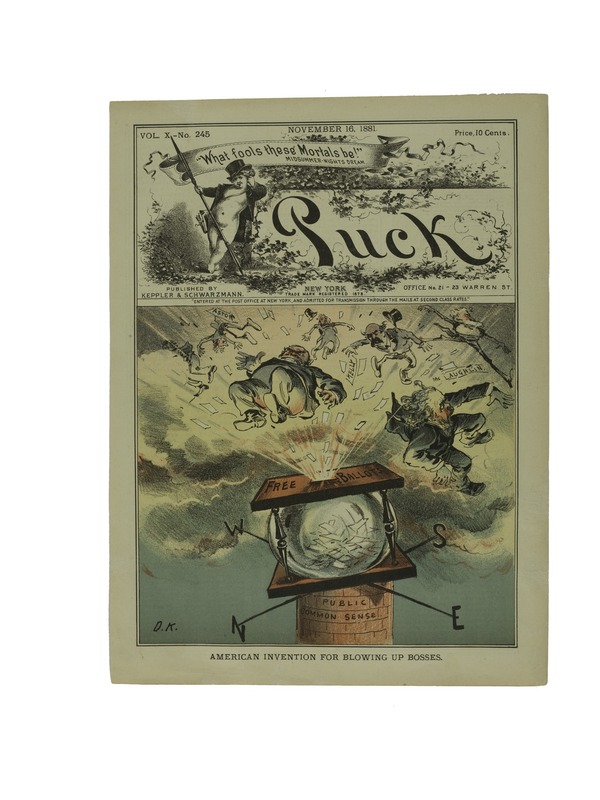 Political manipulation and election fraud was often compared to a well-oiled machine. Reformers determined to fight political machines with ballot reform and voting machines. 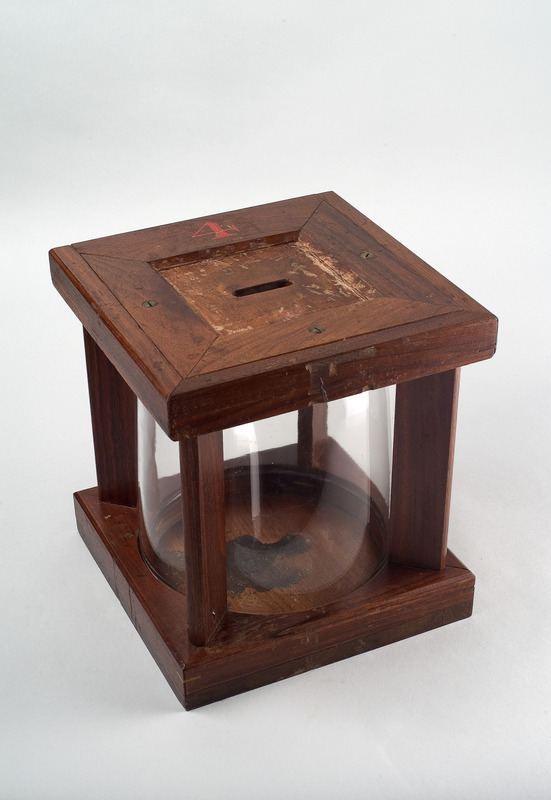 The addition of an internal cylinder “roller” to this late 19th-century ballot box ensured that once a ballot was rolled into the box it could not be tampered with or seen. 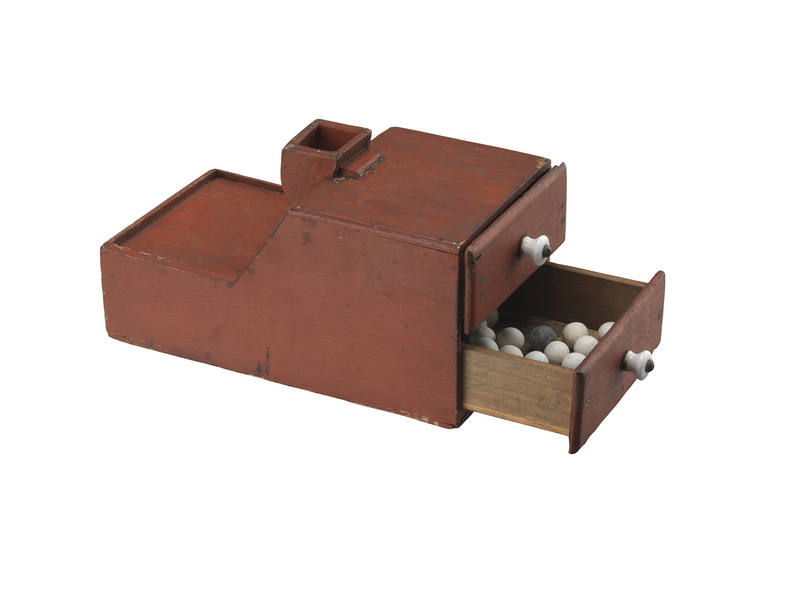 This box was probably used in New England. Developed in South Australia in the 1850s, the blanket ballot—listing all candidates for office regardless of party—was gradually adopted in the United States after 1888. The printing and distribution of such all-inclusive ballots became a function of government rather than competing parties. The voter typically marked the ballot in the privacy of a voting booth, sometimes guided by party symbols—like the eagle guarding a glass jar ballot box representing the Republican ticket of William McKinley and Garret A. Hobart, top left. 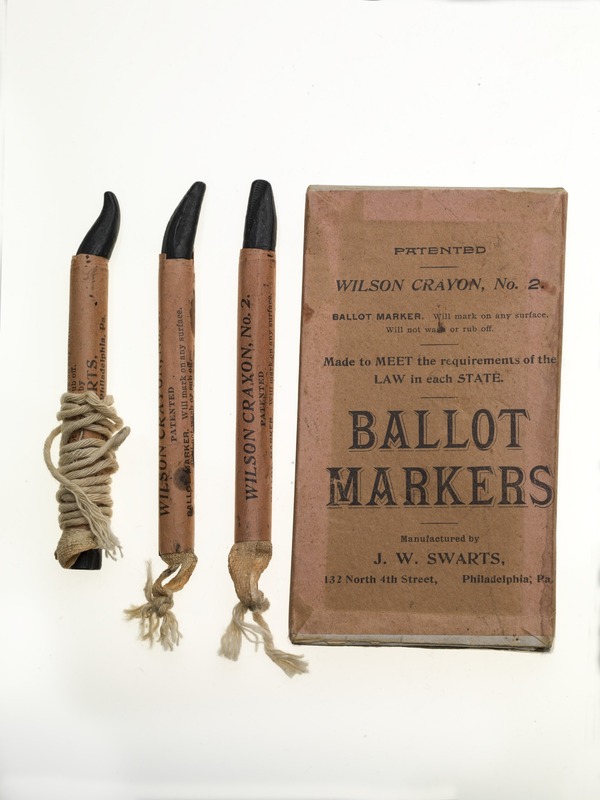 These crayons were made to be tied to the writing surface of a booth where voters could mark their ballots in private. 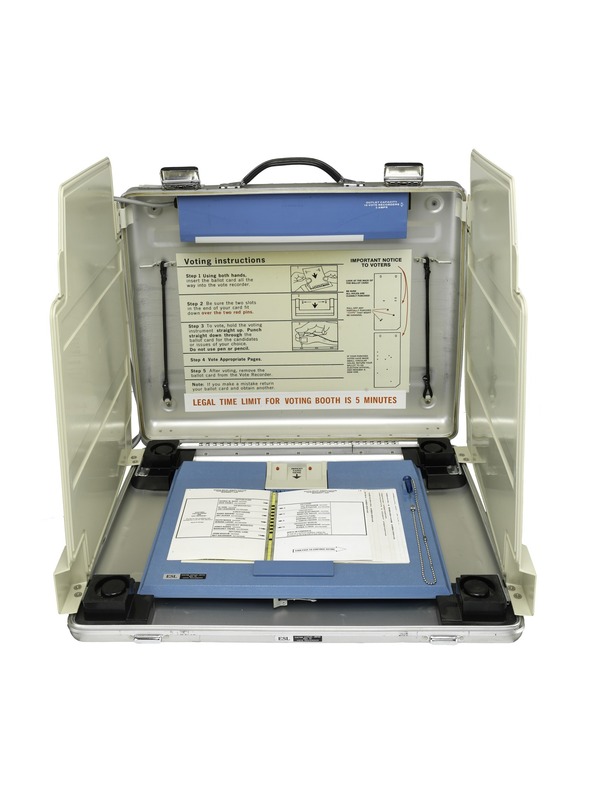 The gear-and-lever voting machine rendered the Australian ballot in steel. 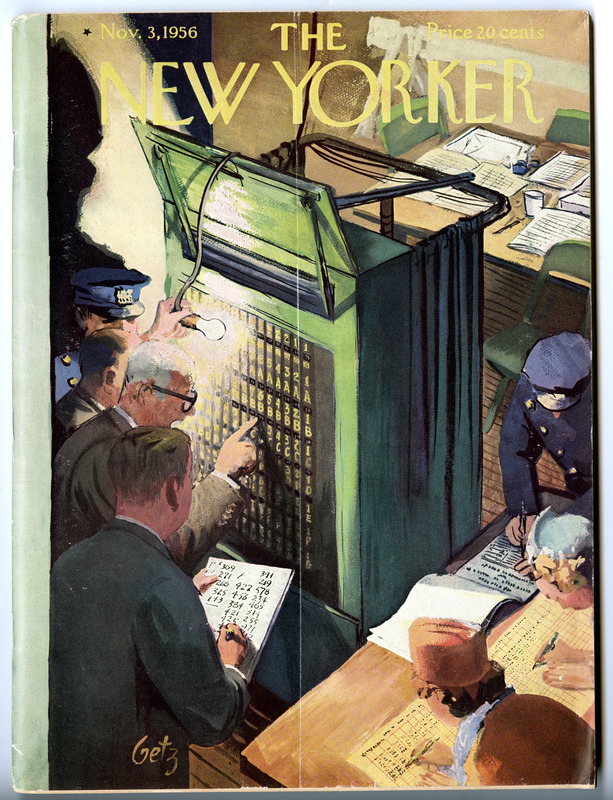 Later, computerized punch card ballots became an acceptable alternative that allowed for the speedy tabulation and announcement of returns. 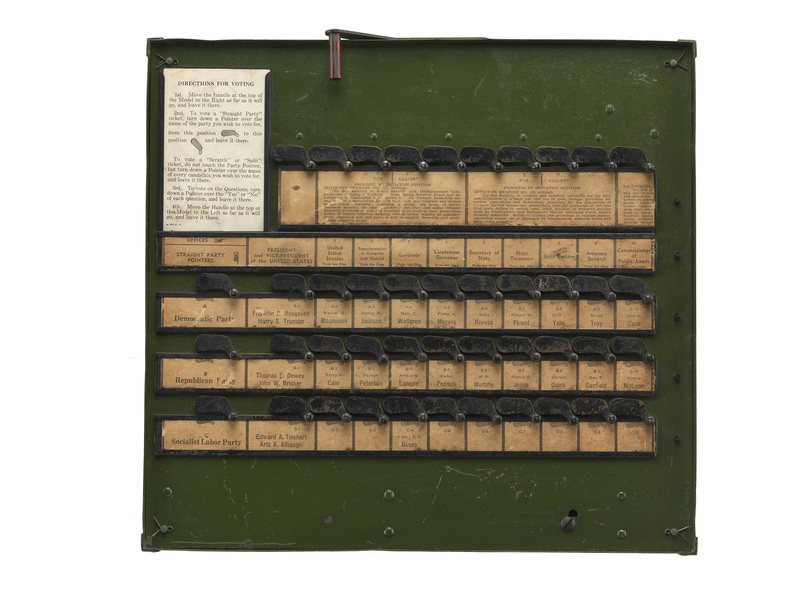 This facsimile gear-and-lever voting machine was last used in the 1944 presidential election between Franklin D. Roosevelt and Thomas E. Dewey. 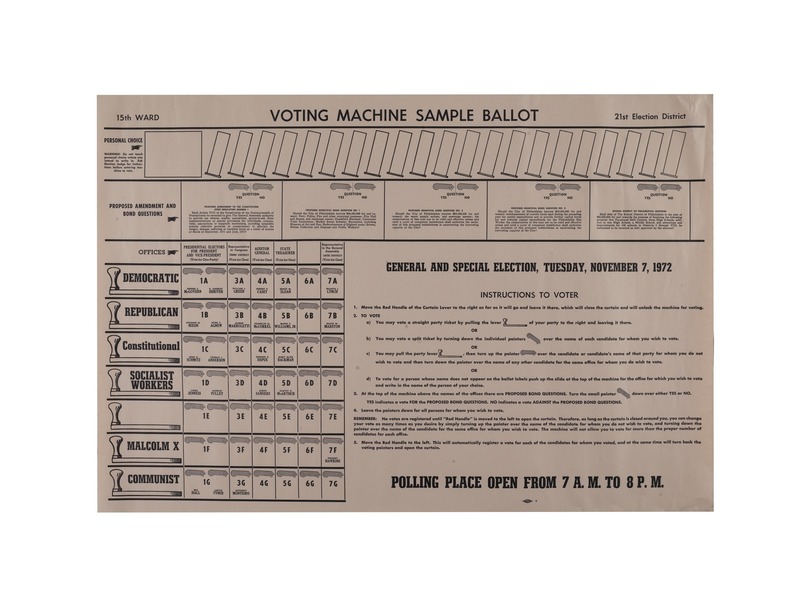 Small models like this acquainted voters with the workings of the actual machine; the row-and-column ballot of parties and candidates was based upon the graphic design of the blanket or Australian ballot these machines began to displace after the turn of the 20th century. From 1900 through the early 1960s, the gear-and-lever voting machine was promoted as an ideal technology. The close presidential contest between Al Gore and George W. Bush came down to a struggle over the Florida vote. In Florida Bush led Gore by 930 votes out of six million votes cast. Gore asked for a recount by hand of ballots from four counties in which his support was believed to be strong. To conduct the recount in Palm Beach County, citizens organized into teams of two Republican and two Democratic Party counters and observers. A magenta-colored card is used to help identify the holes in the ballots. In the 2000 presidential election, incompletely punched ballots that could not be counted by machine were considered voter errors. 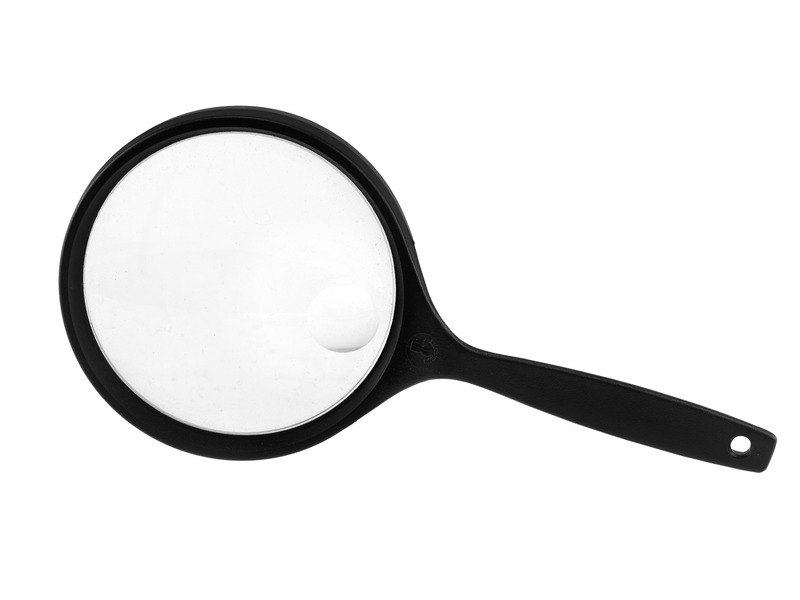 Judge Robert Rosenberg used this magnifying glass to examine ballots in an effort to determine voter intent during the hand recount in Broward County, Florida, in November 2000.